1. It’s all about posture. Lifting and transferring patients are some of the most frequent reasons why nurses are particularly vulnerable to work-related musculoskeletal disorders. Aside from these things, the way we sit, reach over and stand for long period of hours also put so much stress on our muscles. Simple tips to improve your posture. While these activities are inevitable in our line of work, being mindful of your posture can help a lot. To start, you can take a look at your reflection in the mirror. 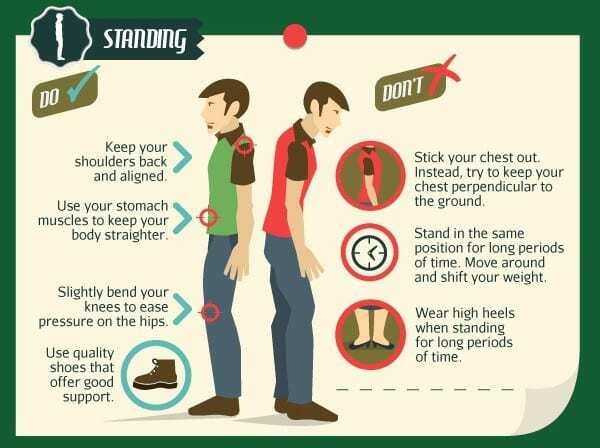 When standing up, your spine should be in line with your hips and your stomach should be tucked in. When seated, make it a point to keep your back straight and evenly distribute your weight on both hips. To prevent strain, make sure to avoid abrupt changes in your position and use the concepts of body mechanics. 2. Invest in a good pair of shoes. Nurses’ shoes tend to be lighter than other types of shoes. Most of them are made with special materials to protect your feet, particularly from spills. There are even some types of nurses’ shoes that have a unique set of soles to help with your balance, so you don’t slip when the action starts to get intense in your shift. Dansko Women’s Pro Xp Mule is one of the best nursing shoes. While there isn’t anything technically wrong with wearing other shoe types at work, the level of comfort and protection you can get from nurses’ shoes can speak a lot. The right size, arch support and quality of the materials used can help increase your productivity at work. “I used to wear my old pair of tennis shoes at work. They seem pretty comfortable at first but two to three hours into the shift, I can hear my feet yelling at me. I decided to replace them after a few weeks because of a really persistent backache. It’s one of the wisest decisions I’ve ever made”, a ward nurse said. Staying in one position for an extended period puts an unequal amount of pressure on your muscles. This results in weakening and uneven distribution of weight. The longer you stay in that position, the more damage you’re causing. 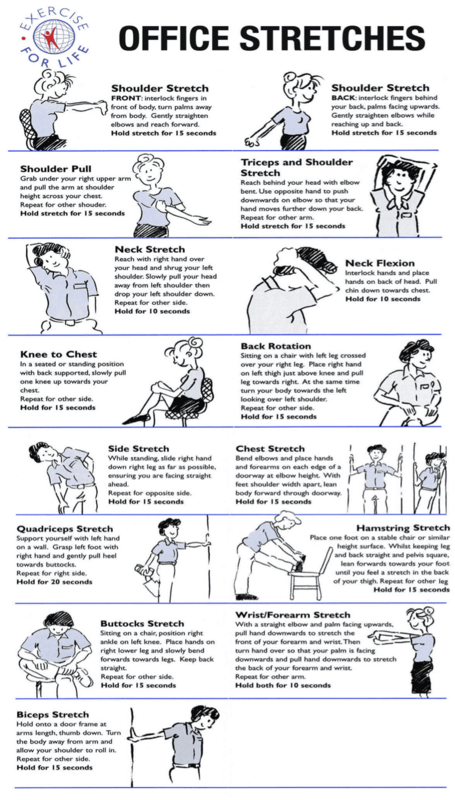 Simple stretching exercises you can use. Stretching while on duty is helpful because it helps loosen up your tight muscles. It doesn’t necessarily have to be intense. In fact, even a short hamstring stretch on the stairs can do your muscles really good. 4. Get moving and exercise. While stretching can help temporarily relieve back and leg pain, engaging in some form of exercise can keep these body aches away longer. Strength training exercises, such as body squats, can build better stability and strength in your entire body. Pilates is also good to try as it specifically targets to increase both strength and flexibility. “I squeeze in yoga at home at least twice or thrice a week. It helps me with me a backache. I usually do it after an exhausting shift or when I’ve had a stressful day.” an ER nurse shared. When you’re stressed, there’s a good chance for you to feel pain more. This is because stress triggers the release of hormones that intensifies your pain receptors. Aside from low back pain, it can also affect your jaw and stomach. How do you manage pain? 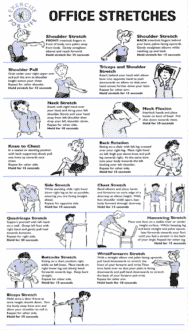 What exercises do you do to reduce a backache?